If you ask any Halo fan about the Halo: Legends DVD, most will agree that the most memorable animated short was the last one, titled “The Package” and directed by Shinji Aramaki whose work includes directing the two CGI-animated Appleseed movies and creating several anime characters over the years. One of the most memorable aspects of this animated short is the appearance of a new UNSC vehicle, Open Frame 92/Extra-Vehicular Activity module, also known as a Booster Frame. 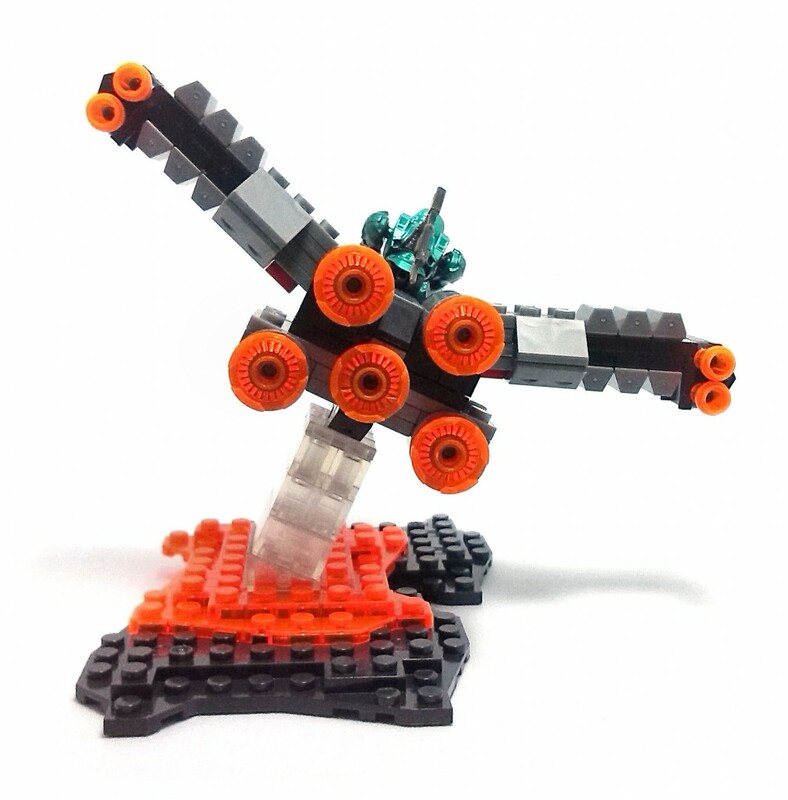 Megabloks tried to be funny with it though. Instead of just giving us a full 182-piece set, they went with their version of a Build-A-Set, separating the pieces required into three smaller, individually sold mini-sets. The sets required are 97131 UNSC Command & Control Console (60 pcs. 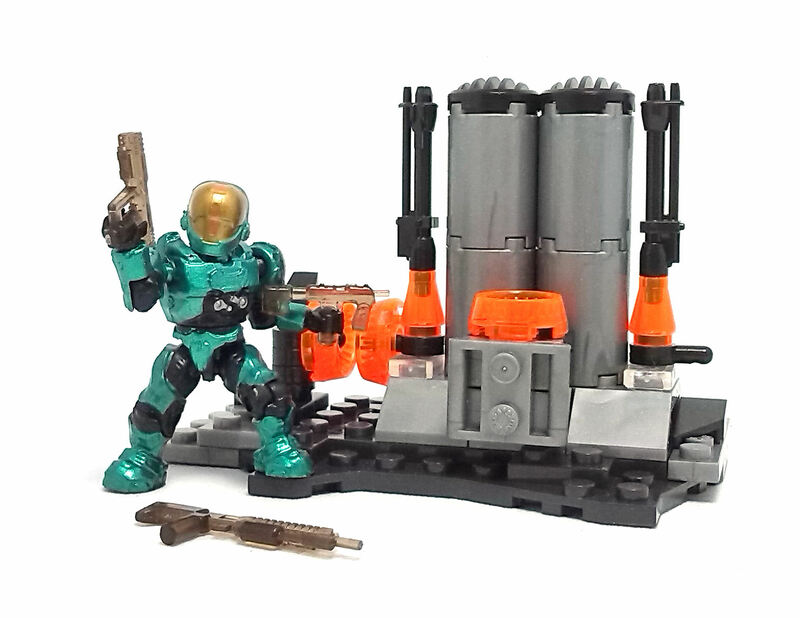 ), 97133 UNSC Hangar Deck (53 pcs.) and 97170 Forerunner Terminal (69 pcs.). 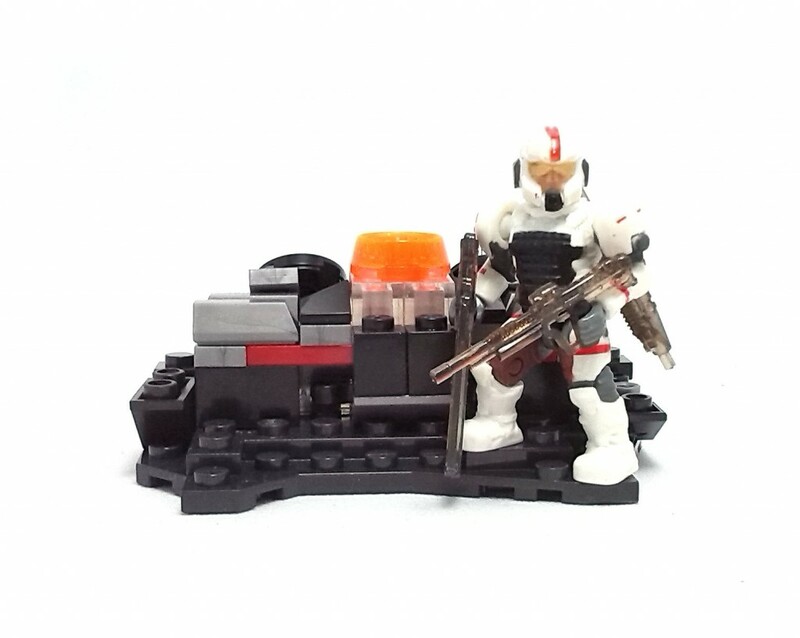 Each set includes a minifigure with a few weapons and, truth be told, these are probably the more interesting aspect of each unique set. The C&C Console comes with a white-clad UNSC Marine that could pass as a medic, the Hangar Deck includes an EVA Spartan with a metallic green armor and the Forerunner Terminal comes with an alien Crawler. Except for the alien set, all the weapons included with the other figures are made from clear smoky plastic, which is an odd choice. 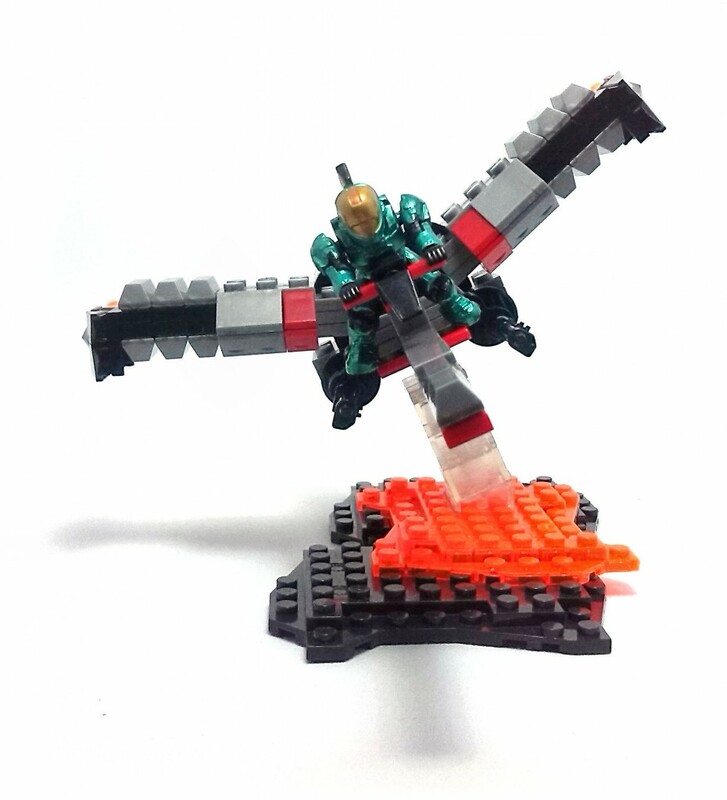 The separate sets themselves are quite unremarkable and you can almost tell that they are just random pieces put together trying to justify their existence within the Halo Universe. However, I must say that each mini-set manages to include a few interesting construction elements, and the finished Booster Frame turned out to be a pretty neat little set. Each individual set includes a third of the instructions to build the larger vehicle and it was a very satisfying build. 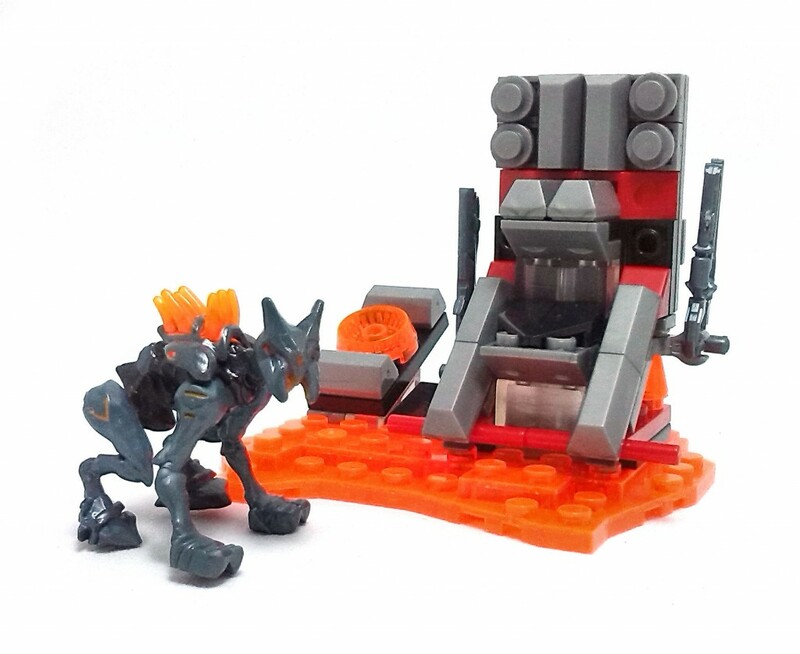 The finished Booster Frame sits atop a clear plastic stand that connects at an angle with the base, which resembles the volcanic surface on some alien world. 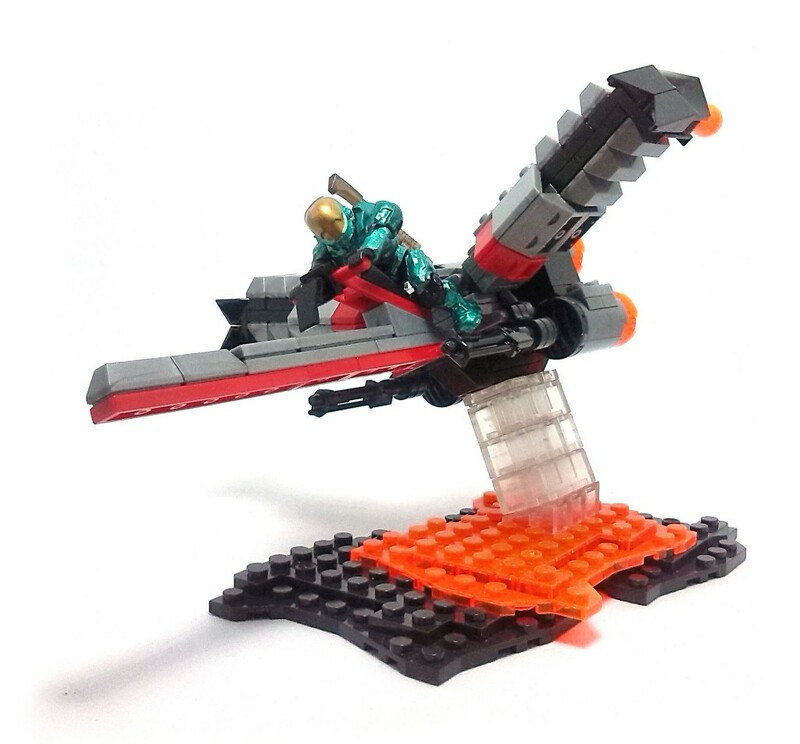 Both human figures can ride on the Booster Frame, even though the Spartan is the only one actually supposed to do so. 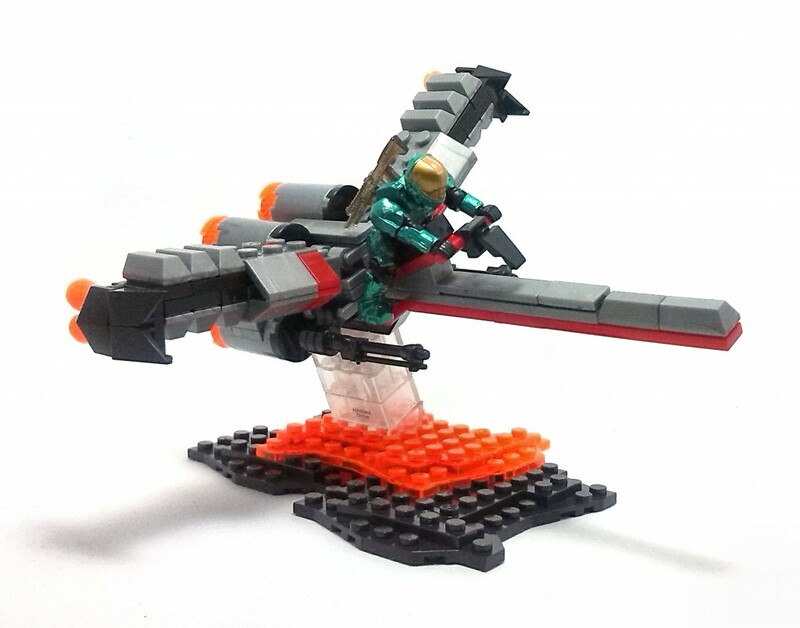 Unfortunately, the vehicle lacks space to carry the extra weaponry aboard, although you can fashion some mounts using the couple of extra pieces left from the Forerunner Terminal. The Booster Frame lacks any kind of decoration. No labels are included (thankfully), but none of the pieces display any kind of paint application either. Even though these sets seemed plentiful the first time I saw them at stores, by the time I decided to get them I could not find all three together in one store and had to make a few extra toy runs searching for the one with the Crawler in it. 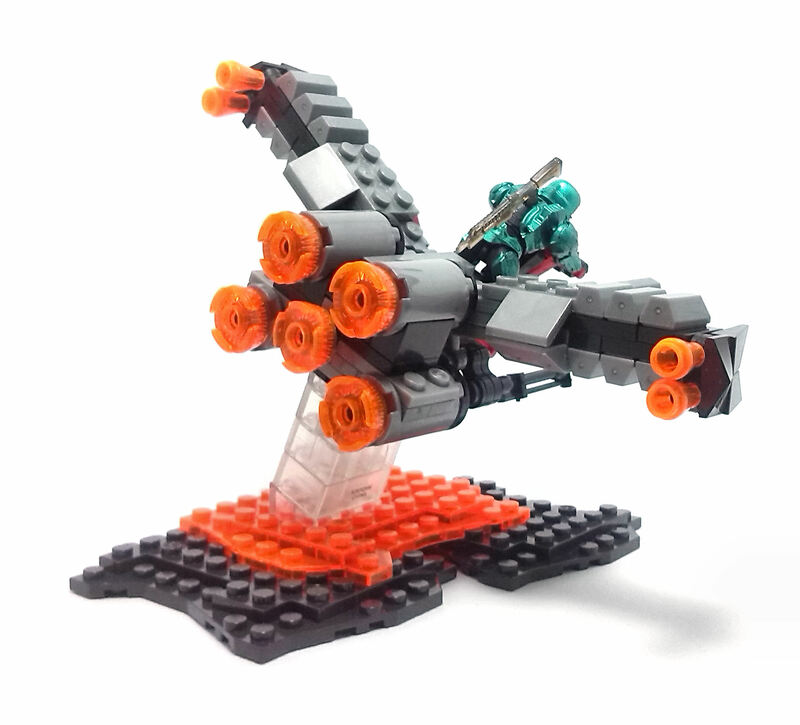 In the end, even though I actually enjoyed building the Booster Frame vehicle, I don’t think the splitting-up into three sets worked very well from a marketing standpoint.